You can establish your company as a Limited Liability Company or as a Joint-stock Corporation. Read below for details, regarding each of the two options. 6. An evidence that you have transferred to our bank account the amount of 350 EUR – this is in case you visit our office in Sofia, Bulgaria in person to sign and legalize the documentation. In case you prefer not to visit us in person and to register the company from distance, the amount transferred to our bank account should be also 350 EUR. 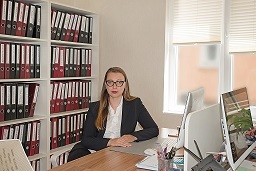 – Seat and address of management in our accounting office (a single payment). After submitting the application and the accompanying documentation to the Commercial Register, the decision for the registration of your new company and its EIK (Unified identification Code) number are due in 4 to 5 days. Akcionerno druzhestvo (AD) is a typical representative of the capital commercial companies. In line with article 158 of the Commercial Act “An akcionerno druzhestvo is a company, whose capital is divided in shares. The company is accountable before the creditors with its property”.Certain types of commercial activities can be implemented only by companies under this legislative and organizational form, for example this is so in the Credit Institutions Act, in its bank and insurance code decrees – “insurance activity can only be performed by a joint-stock company under the Bulgarian legislation”. b) Execution system – AD with state and municipal property. It is necessary to have a ministerial decree, a decision of the municipal council etc. c) Normative and monitoring system– the usual commercial AD is in line with the Commercial Act. The establishment of an AD is carried out during a General Meeting on which the shares are written. During the meeting of incorporation, the founders accept the respective documentation. The requirement is for the founders to be able physical and legal persons. The founders cannot be insolvent or bankrupt. The law does not limit the number of the founders – in EAD this can be only one person, but in all other cases – two or more persons. The incorporation decision must be taken unanimously by all persons participating in the General Meeting. The incorporation does not require the whole capital. To incorporate an AD it is required for the capital holder to have invested 25% of the capital.The rest of the capital should be submitted not later than 2 years after the incorporation of the AD. The installments are paid to a fund-raising account. Characteristic of the capital of an AD is that it is divided in shares. The total is equal to the face value of all shares. The minimal capital value of an AD is 50 000 (fifty thousand) BGN.For certain ADs the law requires bigger capital investment – for banks, for example, it is 10 000 000 (ten million) BGN. The shares are securities used to effect the membership in an AD and the participation in the capital. They have 3 functions: а) Form of the effecting of the capital; b) A form of membership; c) Securities of a different type. The management of an AD is relatively complicated and official. You can have a different approach to management based on our system of management in which we recognize the following types: а)one-tier management system; б) two-tier management system. The choice of the respective system should be marked in the Articles of Incorporation of the AD. Authoritative bodies of the AD are the following: 1. The General Meeting of the shareholders; 2. Director’s Council/one-tier management system/ or a Supervisory Committeeand a Managing Council /two-tier management system/. The General Meeting of the shareholders: This is a basic authoritative body, which is responsible for the basic decisions, but it is not the most important authority in taking operational decisions, because they are part of the council of the AD’s responsibilities. The General Meeting of the shareholders is formed by all shareholders with voting shares. They participate in person or by means of a representative, but mind you a member of some of the councils is not allowed to represent the shareholders in the General Meeting. The Councils of the ADare mandate bodies, which are voted in for no more than a 5 year period. The mandate of the first councils cannot be longer than 3 years, and if the Articles of Incorporation allow, the same councils can be voted in numerous times. One-tier management system consists of one council only – “The Directors’ Council”. It consists of at least 3 up to 9 persons at most. The relations between the Directors’ Council and the execution member of the council is implemented by means of an agreement for delegation of the management. Two-tier management system consists of: The Supervisory Committee – does not manage the AD directly, the idea is for it to monitor and control the Managing Council. The Managing Council is accountable to the Supervisory Committee, which can require all sorts of references and reports on a regular basis. The managing Council informs the Chairperson of the Supervisory Committee for everything that is related to the management of the AD. The Supervisory Committee appoints the members of the Managing Council; defines the remuneration of the Management Council; the relations between the Supervisory Committee and the Management Council are stipulated in management delegation agreements. Choose between a limited liability company or a corportation. Prices start from 450 Euros.